When Lewis-Clark State won the 1989 NAIA World Series, Mark Yockey was on the bench, in the background, The Seattle Times wrote. When they won the 1990 championship, Yockey was right in the middle of things, starting the series' first game. "I looked over in the dugout, and I looked where I would have been sitting the year before," Yockey told The Times, recalling the previous season. "It was a different perspective from the mound than from the dugout." 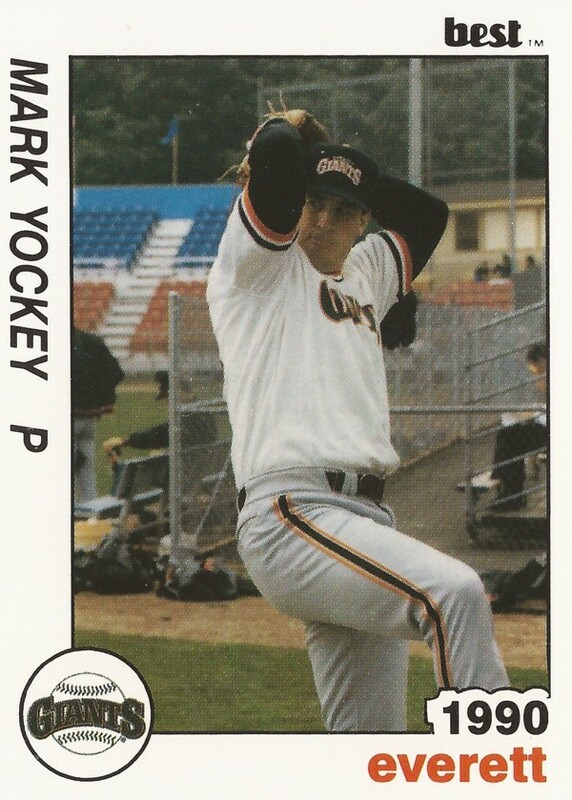 From the 1990 NAIA World Series, Yockey packed up to turn pro. Yockey, though, would never get to stand on a mound in the majors, playing five seasons, only making it to AA. Yockey's professional career began that year, taken by the Giants in the 15th round of the draft, out of Lewis-Clark. Yockey was taken by the Giants as he earned NAIA All-American honors that year. With the Giants, Yockey started in familiar territory, at Everett. He grew up in Woodinville, WA, just south of Everett. He told The Times later in June that he was looking forward to pitching. "Things haven't come easy for me. I've worked on it to be a competitive pitcher," Yockey told The Times. "I've just got to approach every game trying not to make mistakes. That just means concentrating that much more." With Everett, Yockey ended up going 5-2 in 23 outings, one start. The lefty also posted an ERA of 3.86. 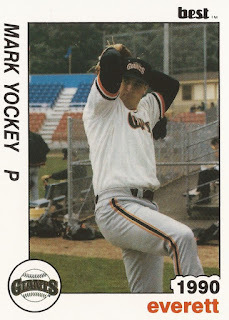 For 1991, Yockey moved to single-A Clinton, getting into 36 games, starting two. He made AA Shreveport for 1992, staying there for 1993. He posted a 4.14 ERA his first year there, a 2.13 ERA his second. Yockey moved to the Marlins system for 1994, but it turned out to be his final year as a pro. He played 18 games at AA Portland, posting an ERA of 7.71, ending his career short of the majors.